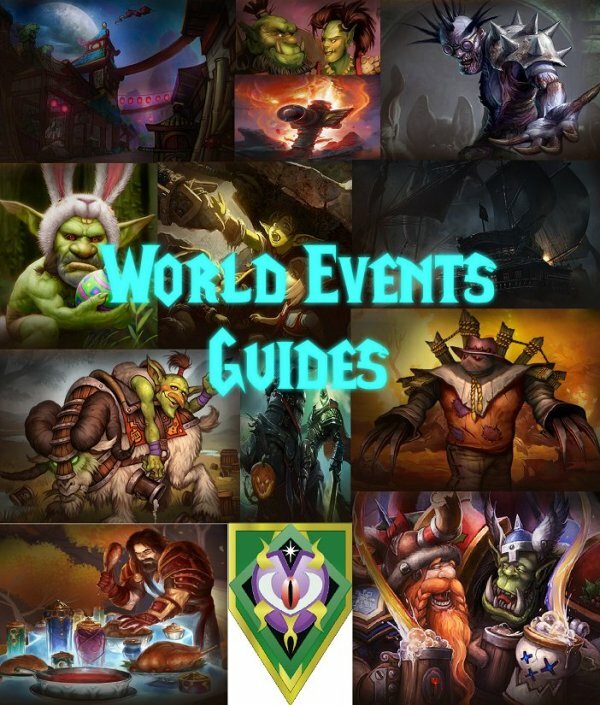 These are events that are rare and are only active 1-3 days, depending on what event. There are 9 different micro events in which some are several times a year and other are once a year. These are events that starts at every weekly reset. There are 6 different weekly events in which one of them occurs per time for a week. For each weekly event there is a quest that is offered at Dalaran in Broken Isles. There are 2 different events that occur several times. Stranglethorn Fishing extravaganza which occurs every Sunday, and he Darkmoon Faire, which occurs during the first week of every month. These are yearly events that is tied to holidays during the year. There are 14 holiday events in total.